Bernard and I have been going out on walks together as often as we can lately. His confidence level is already high, but If he’s going to walk in parades, become a therapy donkey and be an all around ambassador for donkeydom, he needs to be okay with anything and everything. On Sunday morning, anything included his brothers calling for him from the farm. He was okay with that when I told him that we’d be back. It also included walking past a tempting hay barn. He was okay with that too. 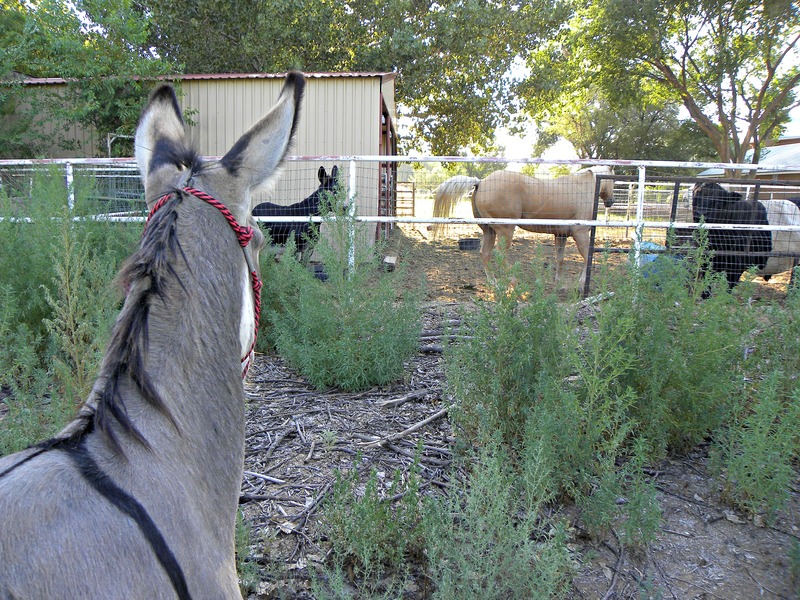 … to see a new donkey, horse and bull. Check. As we were visiting with Bernard’s new friends, something else caught his eye. It was a woman walking her dog. I wish I had more pictures to share with you, but I don’t. The dog wasn’t on a leash and I didn’t know how Bernard would react. I wanted to be ready for anything, which meant not having a camera in my hands. Bernard was a star. He couldn’t have cared less about the dog, and he was a sweetheart while our neighbor cooed over how handsome he was. Oh Bernard, you are beautiful and you did so incredibly well. I’m really impressed that you coped with a strange dog. 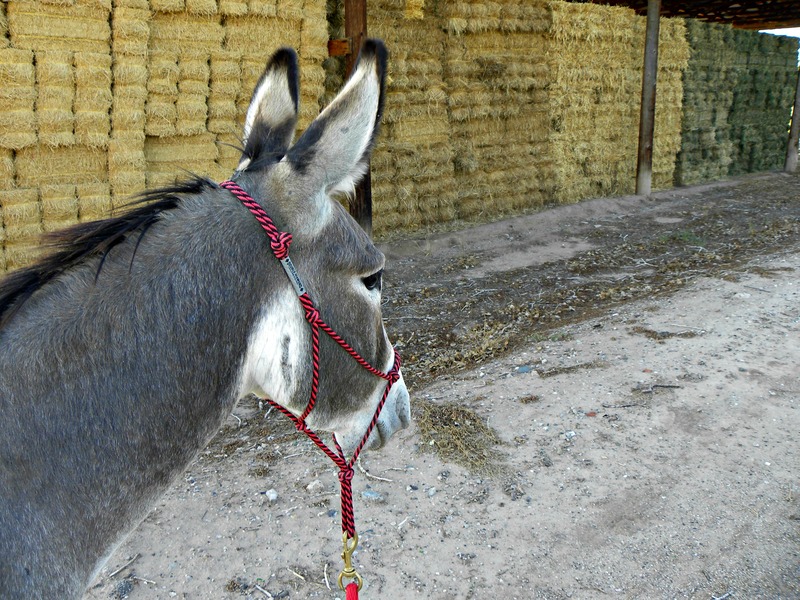 On you way to becoming a Therapy Donkey – that is simply fantastic! Well I loved every minute of this post! Great job, Bernard! I can’t wait to see this handsome boy in a parade! I love that head shot, He’s such a good looking donkey! D’Awwwwwwww. What a good boy. Give him a hug for me (give them all a hug, while you are at it.) And Happy Birthday to him! He’s getting so “big”. 🙂 He really is such a handsome boy! Glad y’all had a good walk. Such a good boy! He will be a great ambassador and therapy donkey. I bet his is what he was born for. To be an ambassador for donkeykind…..
And — what a lucky boy, to be in a place where his talents are recognized and polished…..
Bernard you are such a handsome donkey! Good job on your training walk, especially with a dog not on a leash. Have a great day sweet fella! Oh Bernard, you can come do therapy on me any ol’ time! 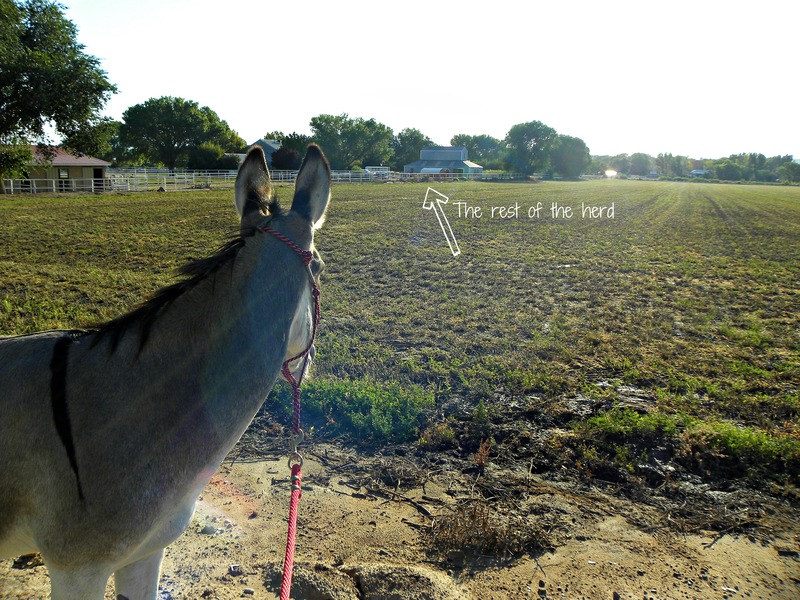 Funny how I never thought of the work that goes into teaching a donkey to be rock-steady in the public sphere, even though I do such work with dogs all the time! Thanks for taking us along on your walk with Bernard. Bernard has some handsome soft eyes. I always want to wrap my arms around his neck and hug him. 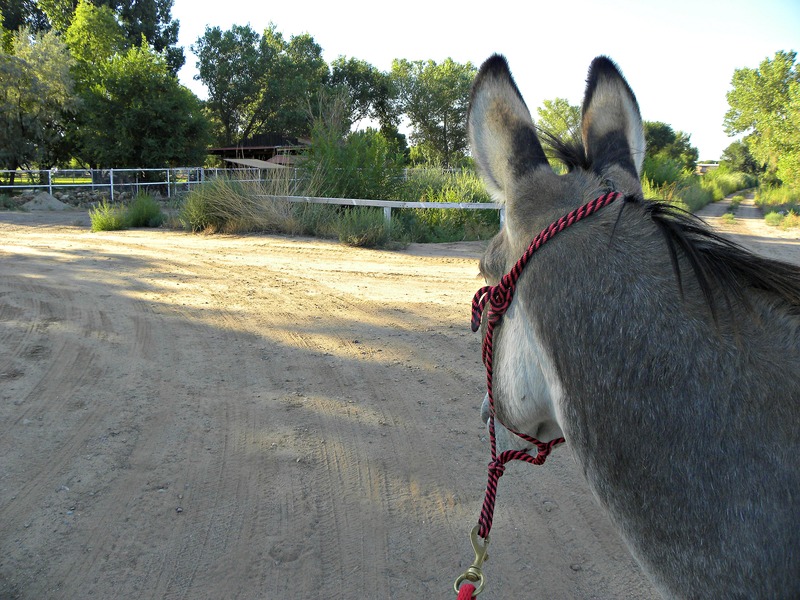 It’s such a pleasure to go walking with a donkey. Can’t wait to see you guys in a parade. Bernard is a wonderful, handsome guy! Bernard you are so beautiful! What a nice walk! I would love to go on walks with you Justina and with Bernard too. 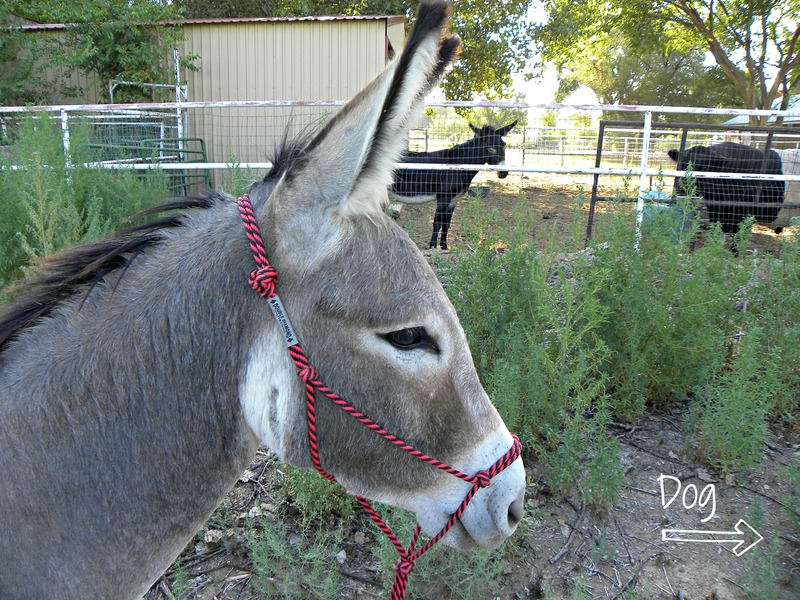 Bernard is very beautiful – I never realized donkeys were so beautiful. I am a city gal and even though we live in a rural area I have hardly seen horses let alone donkey’s! I am enjoying your page and my new fondness of donkeys! Bernard did great on his walk! 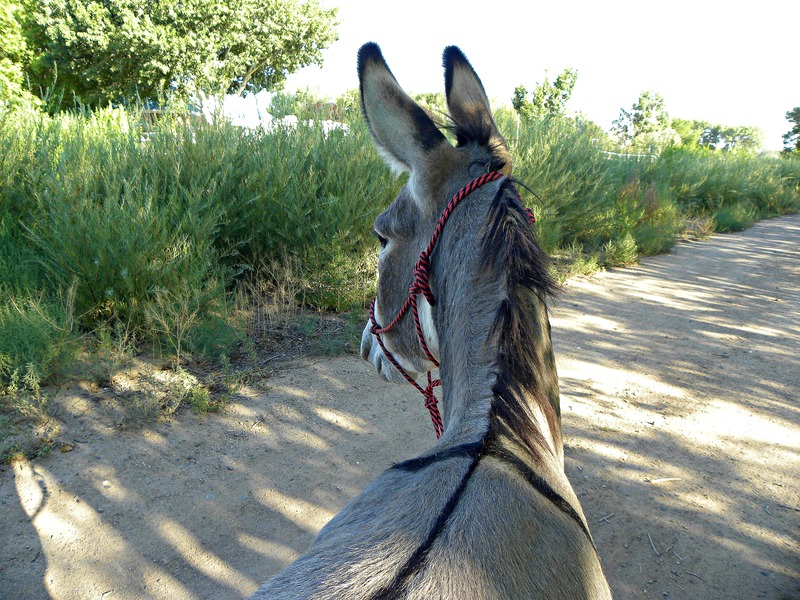 I’m jealous, my donk doesn’t walk nice, he drags me behind him – that is if he decides to walk at all! All your donks are beautiful. Bernard is so handsome!!! He is so cute in that last picture. Doesn’t even care that his halter has slipped lol. 🙂 I LOVE going for walks with Chrome. It’s more fun than walking the dogs LOL! I feel bad for saying that because I love my dogs, but it’s true!